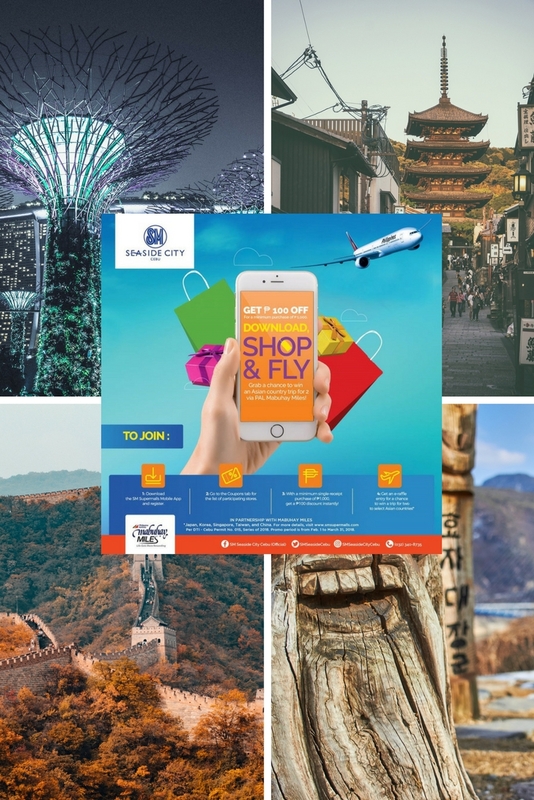 Experience Asia with SM Supermall’s Mobile App! Want to turn your travel plans into a reality? 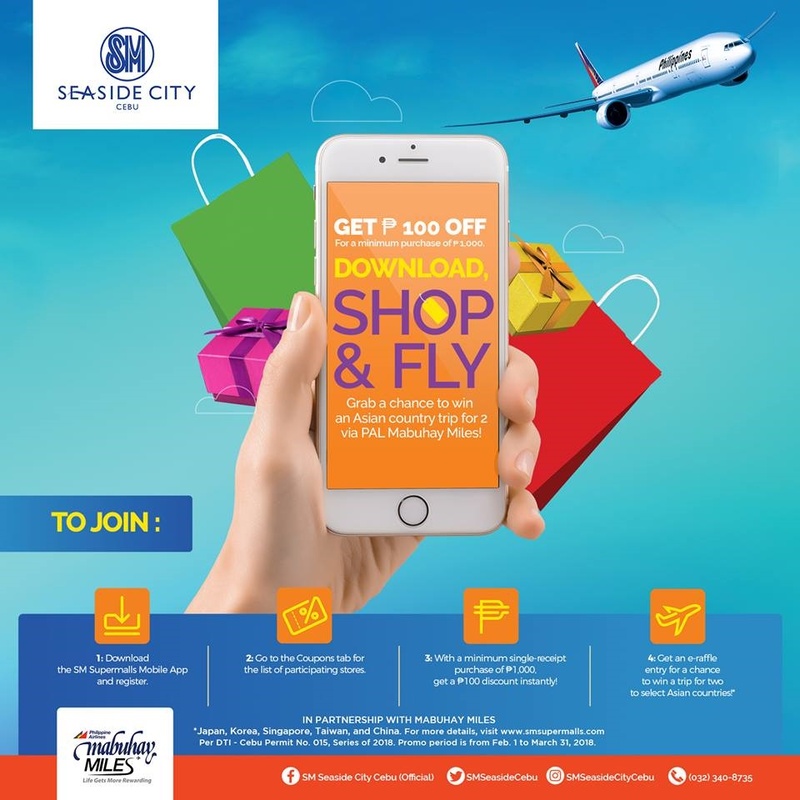 You now can with SM Supermall’s latest promo in Cebu, the SM Seaside City Cebu DOWNLOAD, SHOP & FLY! Trust SM Supermalls to come up with new and exciting ways to make shopping not just fun but also rewarding for their shoppers! From February 1 to March 31, Cebuanos can avail an instant P100 discount from participating brands and a chance to win a trip for 2 to one of five Asian destinations, like Japan, South Korea, Singapore, Taiwan, or China. Note: Promo is valid for SM SEASIDE CITY CEBU mall only.